I think I owe you a double dose of giveaways this week to make up for the lack of a Winning Wednesday post last week, huh? Your wish is my command! 1. Previously Owned and Pitipua Vintage are giving away a pretty vintage necklace and pin! This pin would be a perfect addition to two pins I inherited from my grandma! Perfect set! Click here to enter! 2. Fashion Orbit is giving away a pair of red Kelsi Dagger Teya Studded Platform Pumps. I love the stud details on these - gives them that extra bit of edge, don't you think? Click here to enter! 3. The Bon Bon Rose Girls are giving away a $100 gift card to Shopbop! Hunter Boots here you come, perhaps?! Click here to enter! 4. What I Wore is giving away a Canon G12 digital camera! 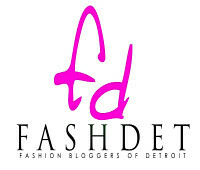 Have you been thinking about doing a little fashion blogging but don't feel like your camera is up to par? Now is your chance to win one! Click here to enter! 5. Fabulous On A Budget wants to give you one of their Summer-Tastic Tanks! Are you fabulous on a budget? I hope so! Click here to enter! 6. Pure Citizen is giving away a summer love bundle of some of their favorite organic beauty and ethical fashion picks! Are you a member of Pure Citizen yet? They offer flash sales of products from companies that strive to make the world a better place - think organic and ethic products. Click here to enter their giveaway! 7. Art Addict is giving away a pair of her earrings! I strongly urge you to check out her shop, Valerie Tyler, to check out all her pieces - they are unique yet classic. I love that - it makes for a good mix, don't you think? Click here to enter! 8. Tory Burch is giving you the chance to win a stylish getaway complete with a Tory Burch summer wardrobe! How could anyone turn that chance down!? Click here to enter! 9. Neiman Marcus is giving away 500 $50 gift cards to email subscribers! Click here to sign up for NM emails! I'll be crossing my fingers that you become a winner! 10. Le voyage créatif is giving away one of her beautiful handmade necklaces. I fell in love with her etsy shop thanks to Creature Comforts. Totally one of my most favorite etsy shops! Click here to enter! In love with what you see? Oh my, me too! My favorite look from the lookbook is right here - the elegancia romance applique tunic is possibly one of the prettiest tops I have ever laid my eyes on! And it is only $34.99! LOVING THAT PRICE! Well, how about you combine your love of this new lookbook and Ruche and click on over here to learn how you can win a $100 Ruche gift card! 12. 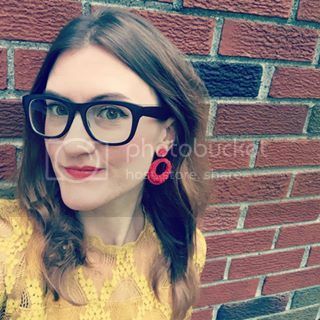 The Daybook is giving away a $50 store credit to Megan Nielsen! I would love to use it toward the purchase of her Desert dress. Click here to enter! 13. The Beauty Call is naming off some awesome beauty giveaways for you to enter! Check out her list and go win yourself some pretty shadows and glosses! 14. My Style Pill is giving away a summer ready bandeau dress and bow ring to one lucky winner from Accessorize. I think this dress is ready for a day at the beach and a casual evening out for a cocktail - what do you think? Click here to enter! 15. My Gloss is giving away a $100 gift certificate to one lucky winner to spend on the new limited edition Bisou Bisou/Fashion Institute of Design and Merchandising capsule collection at JC Penney! Click here to enter!